If you have any news to include here please email to news@oxist.co.uk (with permission of those mentioned). 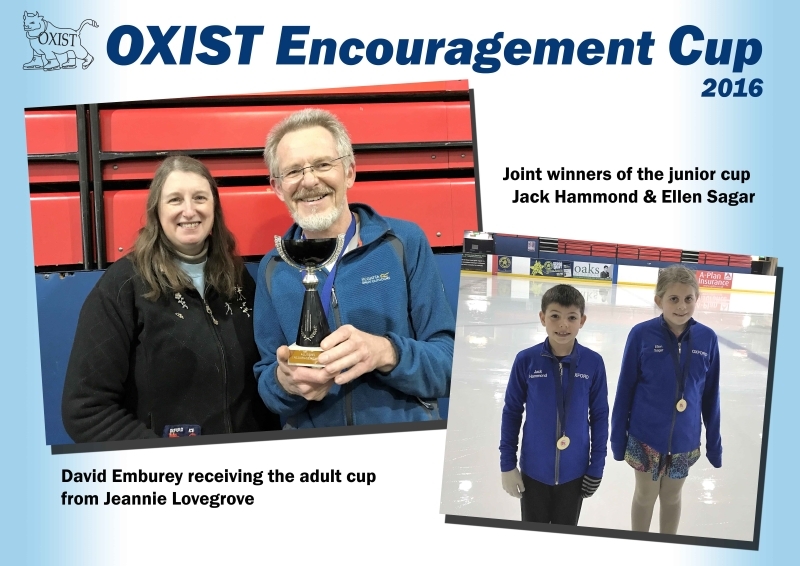 Congratulations to David Emburey on being awarded the adult Encouragement Cup and to Jack Hammond and Ellen Sagar on jointly receiving the Junior Encouragement Cup. 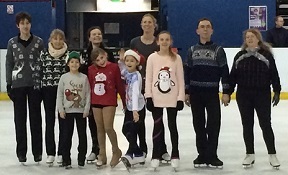 The committee wish them all the best as they continue to enjoy skating. "An 82-year-old man has said he'll continue ice skating until "I fall into my grave". Nigel Moul has been skating in Oxford for 32 years, and met his wife in the ice rink. Although he's had two heart attacks at the rink, he continues to skate, and his signature move is the backslide"
17 April 2016 - 11 members gathered to discuss this proposal and vote on it. There were also 4 Proxy votes cast. Thank you to all those who cast their vote on the future of the club. The vote was in favour of moving to Tuesday. 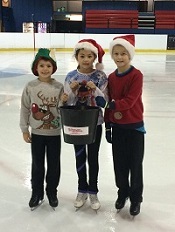 8 to 9pm: Senior Ice Dance Club. The last Sunday dance club was on Sunday 28th August 2016. 6 December 2015 - To get in the festive spirit ahead of the OXIST Christmas Party many of us got our Christmas jumpers out in aid of the ITV Text Santa Appeal. As well as being a lot of fun the event raised £160, thanks in large part to the dedicated fundraising team (pictured left) as well as all those who contributed and organised the event. Thank you to all those who contributed their time and effort and we look forward to seeing lots of you at the Christmas party.